Kelly Smith, executive director of Agricultural Community Events Farmers Markets (ACEFM) is joining us for the next two weeks as our Guest Instagrammer! Operating 13 markets in Sonoma and Marin Counties, ACEFM will give us a peek into their year-round multi-market success. 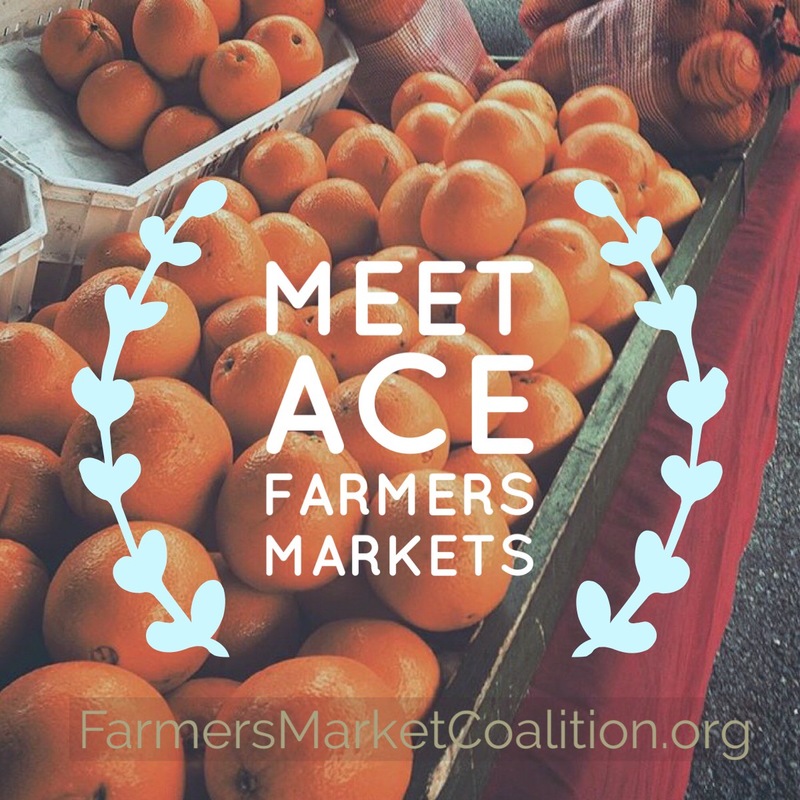 Farmers Market Coalition: Tell us a little bit about the history of ACEFM. Kelly Smith: ACEFM was established in 2010 to bring community together through farmers markets. Currently, five of the markets are year-round and we have a family of 100+ vendors. All of our markets take place outdoors, and the rainy winter season has been a challenge. Rain normally occurs during Jan-March but this has been changing in the last 5 years. There has been little rain in our region, although the experts are anticipating a strong rain year for us. Farmers Market Coalition: Our fingers are crossed that the expert weather predictors are correct, we know that the impacts of the drought are far reaching! Kelly Smith: Beyond having strawberries almost year round, we offer a lot of excitement through our EBT Market Match program, our senior dollar program, and we also offer a starving student program. Each market is different and caters to the needs of that community. We have visits from Santa, Mothers’ Day monthly giveaways, DIY events and cooking demos. There is always live music. We are very active on Facebook, giving shoppers immediate updates and market news. We also have an email newsletter which highlights vendors and recipes each month. Instagram connects to a worldwide audience and also get the local food enthusiasts interested and aware of what we are doing each week. Kelly Smith: When I read about the Guest Instagrammer opportunity with FMC I jumped at the chance to join in. I love to follow what others are doing around the nation at their markets. This a great opportunity to share what we have in our region. Every time I set up a farmers market for the day I love the anticipation of what’s to come. I love the unfolding of the vendors and watching everyone put out their wares on the tables. Sharing their lives and work as the day progresses. I love the connections we make as people throughout the day at market. And then we pack it all up and the you would never know we were there except for a few lettuce leaves or a squashed strawberry that maybe left behind. Even those are soon gobbled up by the crows to leave no trace until the next market day.